Friday!!! I'm so ready for my weekend! I'm going out for diner with some friends tomorrow, all of whom I met because we all share a love for nail polish, so I'm looking forward to talking about all the new and not so new polishes while stuffing my face with sushi. My idea of a perfect Saturday evening, lol. 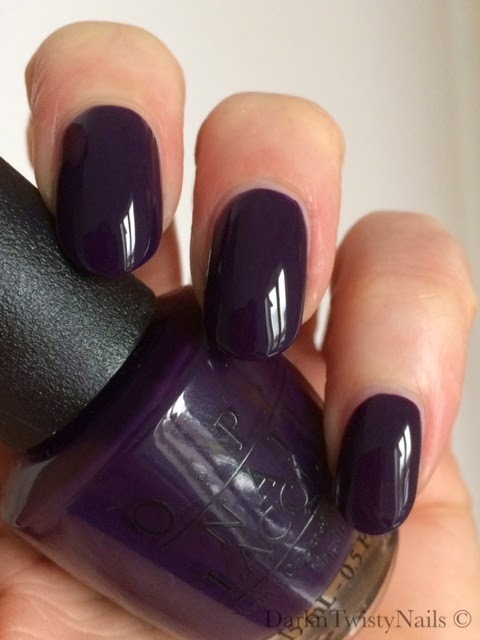 OPI Viking in a Vinter Vonderland is a deep, dark, vampy eggplant purple cream. It was released as part of the 2014 Nordic collection for fall. The formula is really nice, it flows on the nail with ease, dries really fast and super shiny. It's opaque in about 2 coats, I did see a bald spot here and there, so depending on how thick you make your coats, you might need to add a third, but if you're careful while painting this, 2 is all you'll need. This is another one of those dark, almost black looking colors like Lincoln Park after Dark and Christmas gone plaid, but this never looks black, you can always tell it's purple. I absolutely love this color! 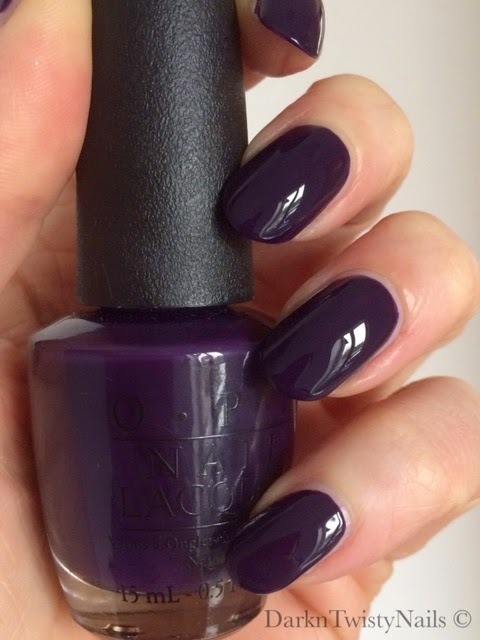 I'm a huge dark and vampy polish lover and this is right up my alley. It looks very feminine and flattering on every skin tone and I didn't want to take this off my nails, so I rocked it for an entire week. 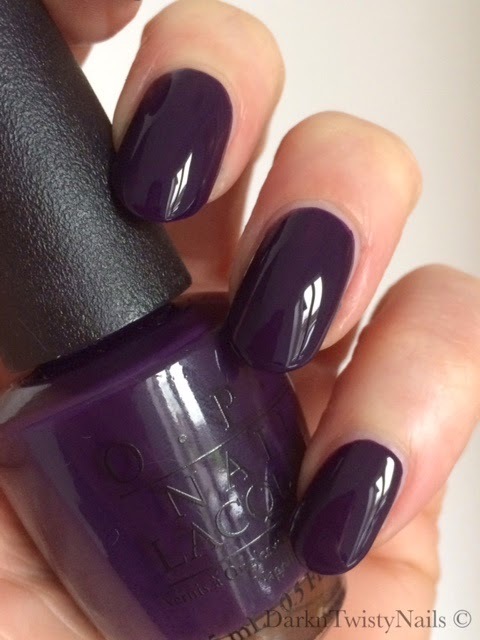 Are you as big a fan of the darker polishes as I am or do you prefer your mani a little on the lighter side? Lichte of donkere lakken, vind alles mooi! En zo ook deze. Prachtige lak van OPI! Ha ha, ik vind ook alles mooi, maar heb toch een voorkeur voor donker.